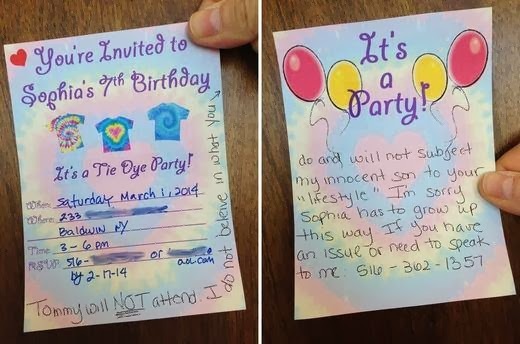 "Gay father" birthday party invitation hoax. The radio show hosts fabricated a controversy which they later backed away from, saying they were only "attempting to spur a healthy discourse on a highly passionate topic". Those who called the radio show to comment were deemed to be sufferers from that deplorable "homophobia" disorder.